Morgan became the Central Realty Holdings President and CEO in 2013. 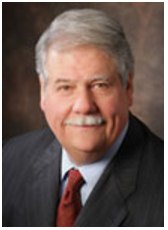 Previously, he had served as Chairman of the Board for four years, and he continues to serve as a board member. He has a wealth of experience in real estate acquisition, strategic planning, and asset and property management. Before coming to Central Realty Holdings, he worked for more than 20 years in a number of other real estate holding and investment firms, including Westplan Investors, Stafford Properties and Rothschild/Charter Oak Partners, as well as a regional family real estate investment company. He has a bachelor's degree in economics from the University of Georgia and has completed extensive post-graduate studies in real estate, finance and commercial development. He is a member of the Institute of Real Estate Management, the International Council of Shopping Centers, the Urban Land Institute and the Nature Conservancy, and he has served on numerous real estate investment and nonprofit boards. He currently lives with his wife in Greenville, S.C.
Timmons has a 35-year tenure with Central Realty Holdings and its predecessor companies and currently serves as its Secretary. He specializes in acquisitions as well as managing investments and finances. In addition to his role with the company, he works with other area businesses. He is the Senior Vice President of Investments at Canal Insurance Company, a national property and casualty company specializing in transportation, and he serves as President of Timber-lands LP and Lullwater Syndicate. He serves on the Boards of Canal Insurance Company, Canal Indemnity Company, Timber-Lands L.P. and Lullwater Syndicate. He previously served on the Board of The South Financial Group serving as its Vice Chair on the Executive Committee and as the Chair of the Audit Committee. He has served on various not-for-profit organizations in the Greenville community including the United Way of Greenville County, Cleveland Street YMCA, Greenville Health Corporation and as Chair of the Board of Christ Church Episcopal School and Chair of the Peace Center for the Performing Arts. He currently serves on the Board of Trustees of Furman University and the Furman University Foundation. Timmons holds a Bachelor of Arts in Economics from Vanderbilt University and a Master of Business Administration in Finance from the University of Chicago Booth School of Business. Aside from her responsibilities as Property-Manager-In-Charge serving our numerous tenants, Peters manages office administration, marketing, and operational support of the executive team. Peters is a seasoned employee at Central Realty Holdings, serving the company for 35 years. Her veteran experience culminates from hands-on learning and on-the-job training, giving her the ability to handle a variety of challenges and opportunities. Peters has knowledge in many applications, including numerous software programs and in-depth computer skills. She has a strong work ethic and is extremely organized, helping to run an efficient organization. Prior to Central Realty Holdings, Peters attended Greenville Technical College. Gregory joined Central Realty Holdings in July 2014. With more than 10 years of real estate accounting experience on both the residential and commercial sides, she brings a wealth of logistical, analytical, problem-solving and interpersonal skills to the company. Gregory previously worked as head of accounting for Hughes Development Corporation and SouthStyle residential building. Her experience includes managing company cash positions, coordinating construction draw loans, maintaining company records, working with tax accountants and attorneys, and serving in management. A New Jersey native, Gregory holds a Bachelor of Science from Kean University. She moved to South Carolina in 1999. Schembra came to CRH in June of 2017 by way of Ernst & Young (EY), where she was a Tax Manager in the Private Client Services practice. At EY, her time was spent advising families and their connected businesses in areas of tax compliance and planning, ranging from personal tax, to partnership compliance and gift tax. This background serving families has transitioned to her role at CRH as Senior Analyst, where she manages all the analytics and reporting. Natalie is a native of Hilton Head Island, SC and has bachelor’s degrees in Business Administration and History from Coker College, and a Master of Accountancy from the University of North Carolina at Chapel Hill. In her free time, Natalie enjoys running, biking and riding her horses. Joining the team in October 2017, Garrett serves as the Administrative Assistant, primarily supporting the Accounting and Leasing teams. With over 18 years of real estate administrative experience at Garrett & Garrett, she brings along extensive knowledge of commercial shopping centers, the ins and outs of property management, and the day to day managing of accounts receivable and accounts payable. A North Carolina native, Garrett holds a Bachelor’s degree in Hospitality Management and Tourism from Clemson University. She moved to South Carolina in 1990. Carlock is Chairman of the Board for Central Realty Holdings and brings with him a wealth of experience in real estate development and management. In addition to Central Realty Holdings, Carlock is Chairman of the Executive Committee and Vice Chairman of the Board of Directors of ECI Group, bringing superb leadership and a depth of experience from both the real estate and insurance industries. Carlock has over 35 years of senior management experience and was president of three Atlanta based corporations prior to joining ECI. During his real estate career he has been involved in transactions that include in excess of 15,000 apartments, one million square feet of office/retail space, hotels, industrial and self-storage facilities. Carlock is a Georgia State University alum and has served as the Chairman of the National Apartment Association and on numerous executive advisory boards for the industry. His financial acumen and direct involvement in all phases of development and operations make him a tremendous asset to Central Realty Holdings. Galen Oelkers has been an Independent Director for Central Realty Holdings since 2009. In addition to Oelkers role at Central Realty Holdings, he is also President of The Zeist Company and Vice President of Investments for The Zeist Foundation, both based in Atlanta. His responsibilities there include oversight of the investment activities, managing the delivery of financial, tax, and risk management services, and providing overall strategic direction. Prior to the Zeist organizations, Oelkers worked in the oil & gas industries serving as tax manager, controller and general manager, and tax supervisor for the flagship oil company of the Hunt family after beginning his career at Arthur Andersen and KPMG. Oelkers also serves on the executive committee of Daniel Island Company, an award-winning Charleston real estate development, and belongs to numerous family office and professional organizations. Mr. Taylor serves as President & CEO of The Springs Company, the Family Office for the Close Family of Fort Mill, SC, whose legacy business was the textile giant, Springs Industries. The Springs Company oversees an expansive real estate portfolio, a number of wholly-owned operating companies, and a sizable passive investment portfolio. Within the real estate portfolio, the Company remains active in development of multi-family apartments, Class A office, retail, hotel and mixed-use projects. Mr. Taylor has led The Springs Company for 25 years, coming to Springs after a 10-year career at First Union National Bank. In addition to serving on all internal boards, he serves on the boards of privately-held Biltmore Farms LLC, The Beach Company, and previously Thomas Rutherford Inc. He has served as Board Chair of both Charlotte Regional Partnership and Saint Mary’s School (Raleigh), and on the boards of Kanawha Insurance Company and Wachovia Bank of South Carolina. Mr. Taylor is a member of World President’s Organization and resides in Charlotte, NC. Sydney Timmons Taylor retired from Canal Insurance Company in 2014 following a career managing special projects in the underwriting and IT departments. Other experience included site selection consulting and construction project management with Fluor Corporation. 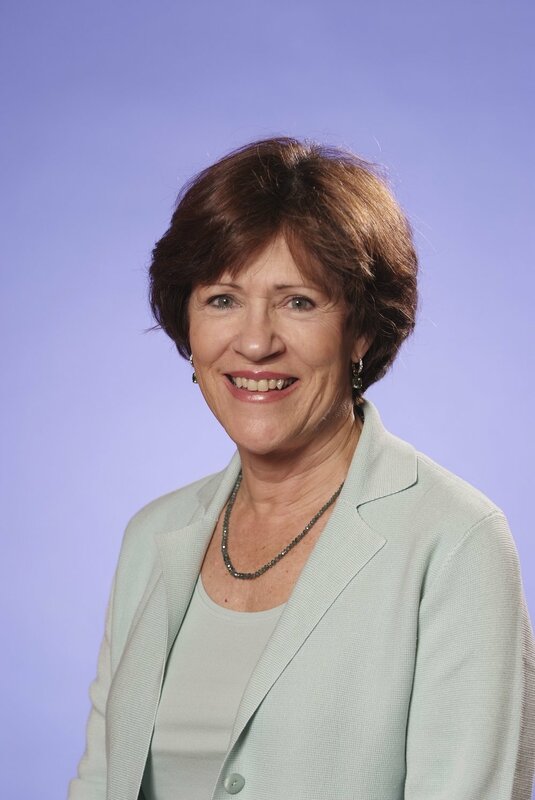 She has served on numerous boards of nonprofits in the Greenville area and currently is an active board member of Upstate Carolina Angel Network and Salem College. Mrs. Taylor also served as an ex officio member of the board of Canal Insurance Company while serving as the EVA Family Council chair. Timmons was born and raised in Greenville, SC. She is currently the Board Liaison for CRH and Canal and the Family Council Chair for the family shareholder group. Timmons is an entrepreneur in Greenville working on start-ups and with local consulting clients. Before moving back to Greenville, Timmons was in Chicago with Accenture Strategy where she worked with resources, capital markets and insurance clients. She assessed business’s effectiveness, designed target operating models, and led teams responsible for large scale transformation programs. Before consulting, Timmons worked in DC at UBS where she built trust-based relationships with clients to create long-term financial plans and investment recommendations. She also spent a year in Atlanta with the State of Georgia Pension Fund. Timmons holds a BS in Economics from Vanderbilt University and an MBA with concentrations in Finance, Economics and Strategic Management from the University of Chicago Booth School of Business. She is an active Board Member with Urban Gateways and the Greenville Symphony Orchestra. & Coastal SC and Greater Augusta which specializes in textiles and electronics restoration, PhysiciansWear which is a full service medical linen provider throughout SC and Charlotte, and Robinson Laundry & Linen which is a full service restaurant linen provider throughout SC. Prior to the laundry business, Taylor worked in public accounting as an auditor with PricewaterhouseCoopers and in the corporate accounting industry with EDENS. He holds a Bachelor of Science in Business Administration in Finance, Real Estate, and Management Science and a Master of Accountancy from the University of South Carolina as well as his CPA license. Nickell joined Central Realty Holdings in July 2015 as a Development and Construction consultant. Don has over 40 years of experience in design, construction and development of real estate projects throughout the U.S.
His experience includes industrial, commercial, residential, hospitality, healthcare and institutional projects, including the Jacksonville Jaguars Stadium and over 15 major hotel projects with 3,500 rooms plus support, casino and convention facilities. His residential development experience includes the planning, engineering and development of large high-end residential communities with golf courses designed by Fazio, Nicklaus, Player and Tiger Woods. Nickell has a Bachelor of Civil Engineering from the Georgia Institute of Technology and a Master of Business Administration from the University of Georgia. He is a founding member of ULI-South Carolina, a Registered Professional Engineer in four states and a Certified General Contractor.